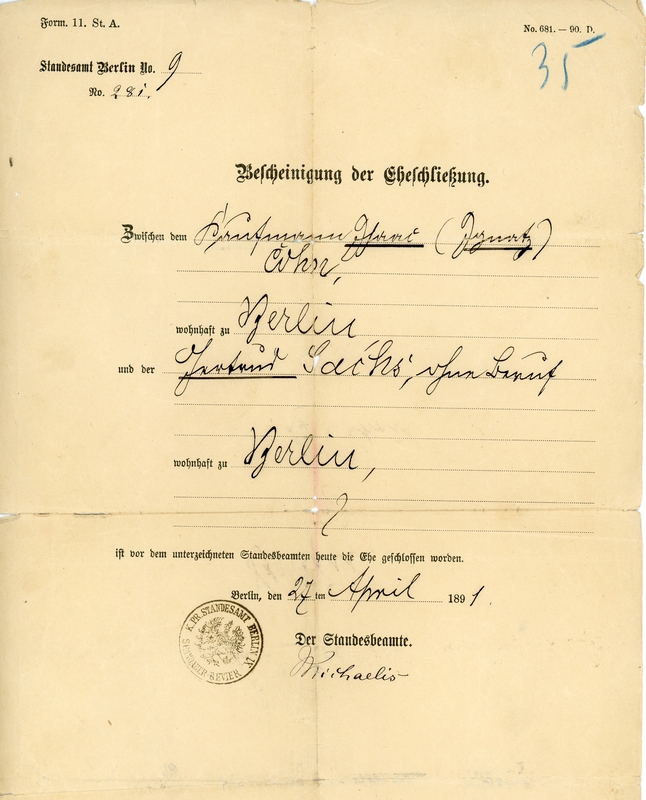 Great Great Grandparents’ Marriage Certificate. Berlin. 1891. Over 120 years old, this fragile document is remarkable. The fact that my great great grandparents marriage certificate was able to survive two world wars, a transatlantic journey, and 70 years of moves and spring cleanings is unfathomable.